I’m no stranger to dinner theaters or interactive entertainment shows, but I’d never been to a Renaissance festival so when I heard that Carolina hosts one of the most interactive entertainment festivals ever created with wonderful amusements and entertainment around every corner, The Carolina Renaissance Festival, I knew I had to check it out. The 20 acre Carolina Renaissance Festival is a 16th century European style art and entertainment festival combining outdoor theater, circus entertainment, charming cottages and castles, an arts and crafts marketplace, a jousting tournament, kitchens and pubs, a petting zoo, and an unusual collection of people-powered rides and games of skill. As a family, we took advantage of the skill games, animal encounters, and a tournament of champions joust. The festival was both unique and entertaining with enough “bizarre” to keep us guessing what was going to appear before our eyes next. The village streets were full of peasants singing songs and street entertainers surprising us with tall tales and tricks, each with a role to play. The grounds were littered with games of skill and rides for the entire family. 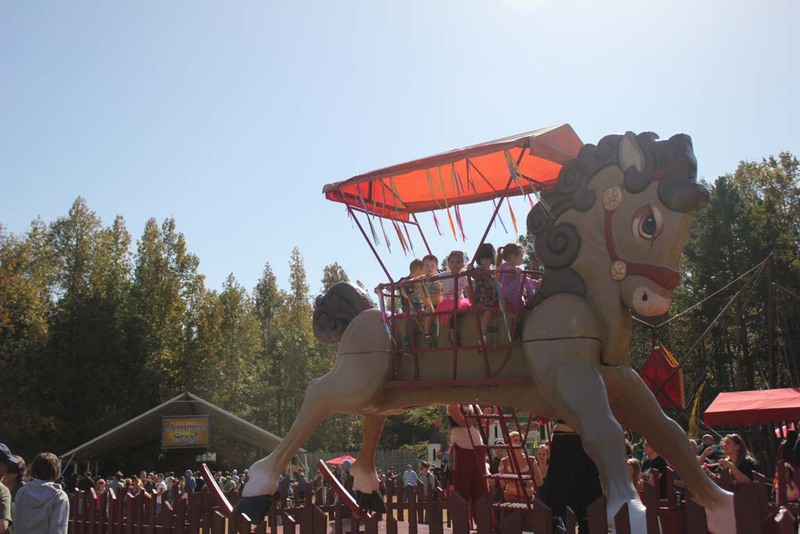 We watched as children rode the World’s Largest Rocking Horse, took a spin on Da Vinci’s Flying Machine, and sailed the high seas on the Voyage to the New World. 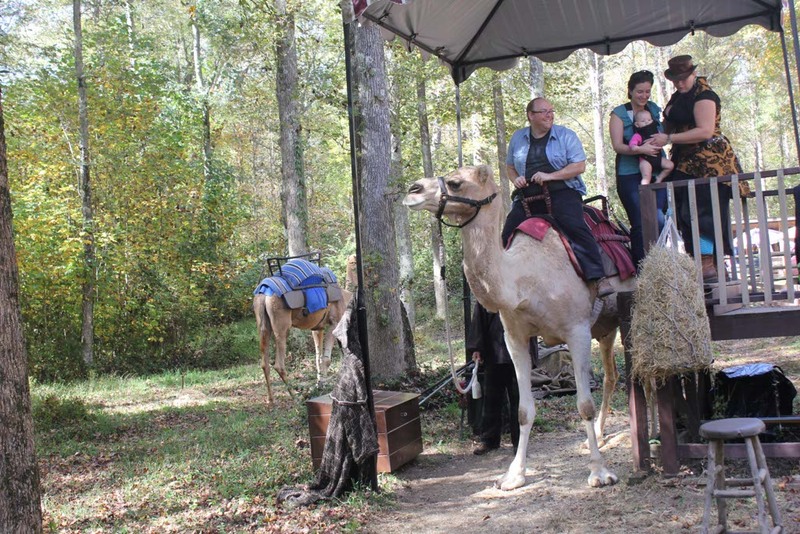 During our visit to the petting zoo, we rode a camel. With Athena on my lap, we straddled the camel and took it for a lap around the field. Athena has already been on an airplane 8 times and rode a camel; not bad for six months old. She’ll be flying helicopters and checking off her own bucket list in no time. We witnessed the clashing of armor and the thundering of hooves with full combat jousts at the King’s Tournament Arena during the Tournament of Champions, and I received some hands-on experience with one of the jousters. 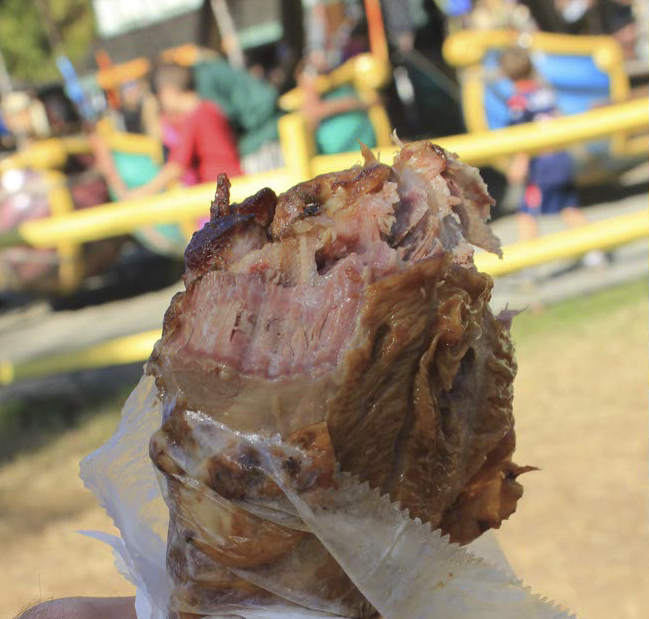 After camel riding, endless entertainment, exploring the Artisan Marketplace and watching the tournament, we had to try the staple turkey leg before leaving the festival. It doesn’t get much more “Renaissance” than a juicy, dripping leg of meat and a pint of beer. 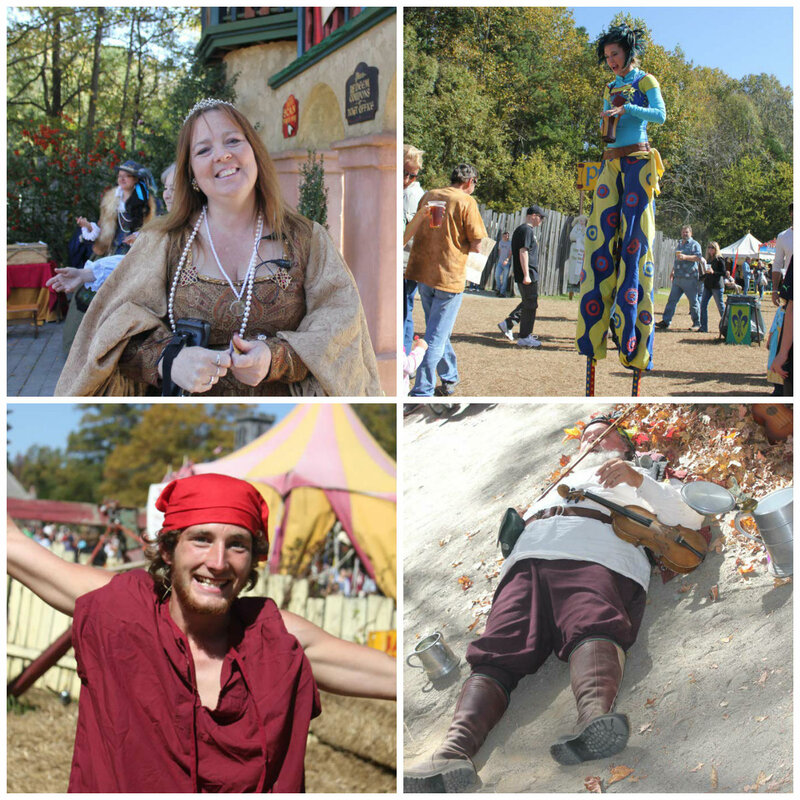 The Carolina Renaissance Festival was a medieval amusement park, an interactive circus, a village marketplace, an arts and crafts fair, a jousting tournament, a zoo, and a feast all rolled into one family day of exploration. This entry was posted in Charlotte, Charlotte Entertainment, Entertainment, North Carolina, Travel, USA and tagged bucket list, Bucket List Publications, Carlotte, Carolina Renaissance Festival, festival, Lesley Carter, North Carolina, travel, Travel blog, travel magazine, USA by lesleycarter. Bookmark the permalink. Went to one of these for the first time back in summer. They really are a lot of fun. Corny fun, but enjoyable, nonetheless. Thanks for sharing your experience I am heading there with a group of scouts for the closing weekend festival. Renaissance and other period re-enactment festivals are a lot of fun. I used to go to quite a few here in Texas on a regular basis. I still try to go to the local Scarborough Faire Renaissance Festival on occasion. When I heard about a Renaissance Festival in SoCal, I thought it wouldn’t be my type of thing. I was pleasantly surprised to find hysterical entertainers, animals, rides, and scrumptious food. I could easily have spent another full day exploring the grounds. Our local version in the San Francisco Bay Area was the annual Renaissance Pleasure Faire. It was really a time to “let your hair down” if you so desired. Walt and I love the Renaissance Festival, he took me there on an “unofficial” first date. He had gone for many, many years and one day when we were at happy hour with people we worked with a few were talking about the Renaissance. When Walt discovered that I had never been and had no idea what it was like he invited me to join him, his family and a few of his childhood friends that were all going the following weekend. It was a lot of “silly” fun and something that we are now sharing with our grandson Joshua and hopefully next year with Eric and Kaylee. I hope to make it a yearly tradition with my family. Sounds a lot like Medieval Times, which I think the closest one to me is in New Jersey. I never went even though it was a popular field trip in schools in my area. Looks like fun! I’ve been to a Renaissance Banquet but never a fair. This looks like sooooo much fun. Love the pictures, too. Thanks for sharing another great travel idea. I want to go to all of them. I am headed to our Tex Ren Fest this coming weekend. Thanks for getting me excited for it. Did yours have full contact jousting? I don’t think we are but I saw the show and really want to check it out. We just went a couple weekends ago for the first time, too. 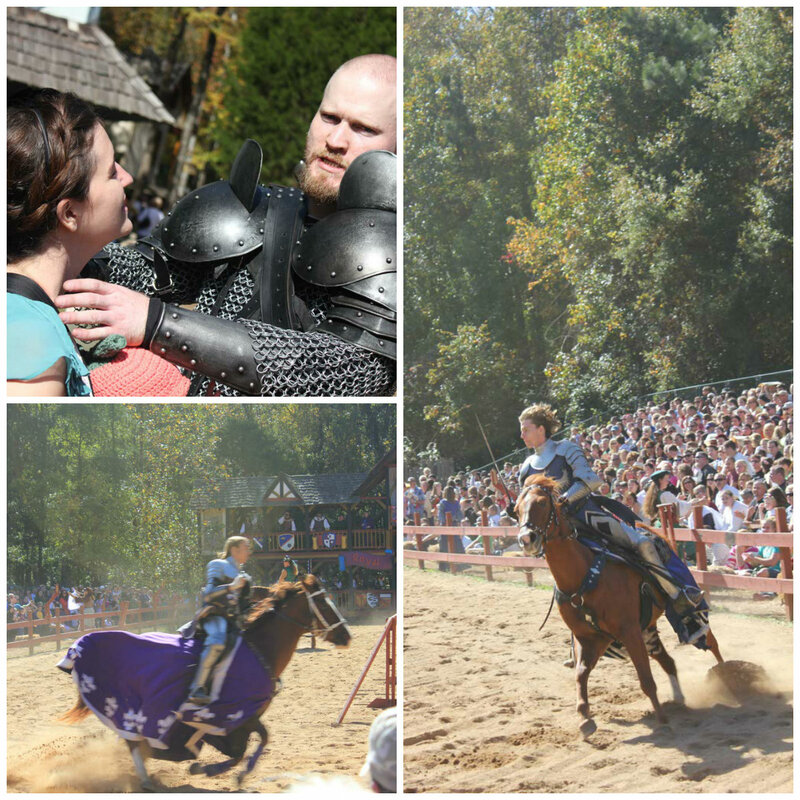 We had a blast but didn’t get to see a jousting match – we’ll be back again, no doubt! We were very impressed with the whole experience ! Renaissance faires are a blast. I’ll be at the Alabama Renaissance Faire this weekend. In fact Sir Francis Drake seen in your header image will also be there. That is an amazing post. The occasion has been vividly captured by your post. Great sharing. Always an interesting place! My son will get extra credit at school when we go! I went to a Renaissance Fair a few years back – it was interesting, like being transformed into another world! The participants really know how to throw themselves into the roles! I had a friend who lived in Charolette and I went to the Ren. Faire with her one visit. It is a great time and an impressive event. Glad you guys got to attend! I was at a Renaissance Festival in Pheonix years ago… It was a lot of fun. Shannan’s uncle is the glass blower there. We go every year to see him. He was leading it so you saw him. Kind of looks like Jerry Garcia? We are in town next weekend, by the way. Maybe you are available? Darn. We are the ones busy this time. Actually, we are booked the next three weekends. After Nov 10 we are free. LOVE Renaissance festivals! They’re a great option for any age. Didn’t know there were so many Ren Fests across the country until I started reading the comments – Kansas City has a huge one as well. Lots of fun! In Dallas,we have Scarborough Renaissance Festival right down the road in Waxahachie. Love it. My best friend was married by the Mayor or Scarborough so we get all Renaissance and go for their anniversary celebration annually. I love Renaissance music on period instruments. Looks like a fun day! How fun! Your daughter will grow with the zest of life and a taste for exploring the unknown! Looks amazing! So much do do for all the family. Just one question: was Friar Tuck acting or for real with his violin lying on the roadside? My boyfriend grew up doing the renfair circuit. His mom is a palm reader – she is at the Carolina Renaissance fair, btw. It’s a very interesting experience, and a very different one when you grow up in it. I have done a lot of travelling because of the faires. Michigan’s is coming up soon! Woohoo! Great post! I like the pictures of the horses and Da Vinci’s Flying Machine. I enjoyed it! That big chunk of red meat seems to be the most dangerous thing you faced there. good fun. meat and meaty. Not to brag but the Texas Renaissance Festival is the largest in the country…..
and the Colorado Festival has to be one of the most beautiful…. They really are fun. My first medieval fair was actually in Prague or Poland I can’t remember, anyway my friend was more or less inclined and I begged by saying how many times would we get to experience this local fair in a real life medieval town … she agreed. After the parade of jousters and fools and so forth we paid our admission to the jousting tournament, and quickly realized that all of the entertainment would be of course in their Slavic native language. I must say we laughed, and in the end, having a merry ol’ time slugging down our pints mead. Way back in the 1980s when my hair was bigger and I could eat anything I wanted without gaining weight, I went to the Renaissance Festival outside Los Angeles. It was so much fun! Your post brought back many wonderful memories for me including yes, the all important turkey leg! Wonderful! I have never been to a big festival, but we used to have a mini-one before Shakespeare in the Park in Louisville,KY…(it is a long-running tradition). It was a lot of fun; we even got my inhibited husband to be part of a Shakespearean Improv Ensemble…loads of fun! 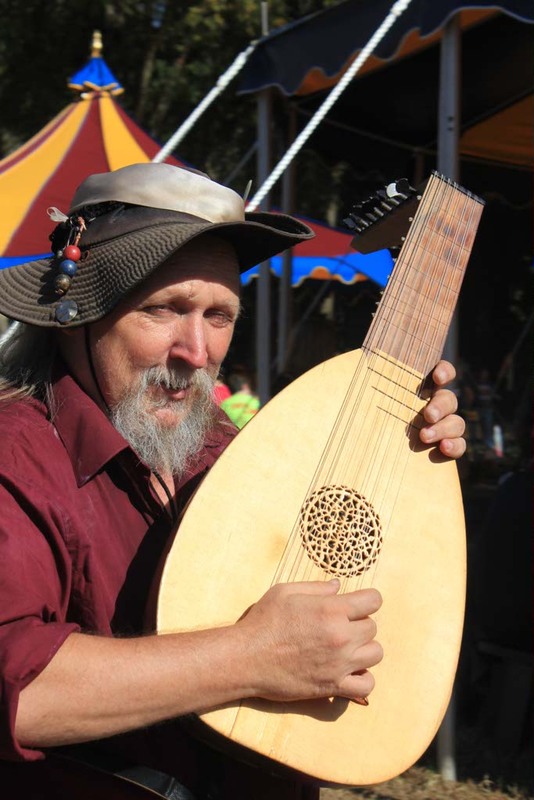 I’ve been to the RenFest in Larkspur, Colorado many times. Always love it! You are bringing back such wonderful memories of my time in Charlotte. I really enjoyed this event every year. I could not wait for it to come around each time. My favorite was the jousting tournament and the Tortuga twins (who were always meant for the adults but most of the time their jokes went over the kids heads and sometimes the adults) 🙂 What a fantastic festival! I was actually hesitant to read this at first, because I’ve missed the past couple of years and miss it so much! I’ve been going for about 7 or 8 years now, and I always enjoy the “familiarity” of it like my state fair. I know where to learn about birds, where to get that turkey leg…my favorite act is London Broil. This post makes me want to go again! I haven’t been since I was a kid, to the Colorado Renaissance Festival. They used to have ‘kissing wenches’ back then – two women in lipstick who would chase down men (and boys, in my case) and cover them with kiss marks. yeah, I was a teenager at the time. Well done! (You, not the kissing wenches. Although they were pretty stellar, too). We have one of these in MN close the the Mall of America… They are funny!!! I don’t mind getting songs stuck in my head because they’re usually in MIDI format.